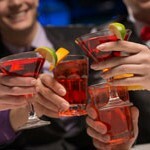 Often in the morning after a stormy party or feast, it is difficult for a man abused alcohol to do without a hangover. A severe headache, dizziness, irritability, and nausea – are not the only symptoms of the bad state. How to drink sensibly and without serious consequences? And what do you do if there is a hangover in the morning, which spoils all the plans? In order to do this, there are lots of ways and tips to help you quickly get rid of the bad state of alcoholic intoxication. More unpleasant hangover symptoms, such as fever, fatigue, chills, and pressure surges can significantly undermine the health and ruin the mood after a fun-filled evening. 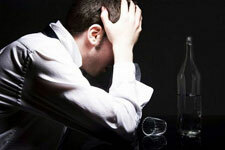 It is believed that a hangover occurs only after drinking large amounts of alcohol. Unfortunately, this is not so. Often enough a few glasses of alcohol that morning would have to experience for you all the “charms” of consumed alcohol. Especially strong unpleasant troubles will be brought by the hangover in the morning for those who are not able to stay at home and have to do their normal activities. Hangover is a very unpleasant condition that is manifested by nausea, vomiting, trembling hands, and the general weakness of the body, irregular blood pressure, and malaise. Do not be surprised if during a hangover you feel guilty, even if you do not have done anything special. All this is due to the biochemistry, chemical processes in our body. Just after the holiday healthy person feels an aversion to alcoholic beverages. If there is no such feeling, it is an occasion for serious concern. The absence of signs of a hangover can be a sign that the person becomes an alcoholic and gets addicted to alcohol. What happens in the body from alcohol? When human begins to drink alcoholic beverages, and the first drops of alcohol are getting into the body, mass changes and rearrangements begin to happen. Alcohol has a toxic effect on the human body, as is becoming a toxic substance (namely, acetaldehyde). And because of it, there are appear other toxins in the body, which have a devastating effect on human health. So alcohol enters the liver and then begins to transform into a toxic substance with a special enzyme. Alcohol is oxidized to acetaldehyde in the body and begins to engage in its expansion. Subsequently, as a result of various chemical processes in the stomach, there is a safe for human acetic acid. Thereafter, it is converted into water and carbon dioxide. Actually, these chemical processes in the body cause the individual tolerance of alcohol. Individual sensitivity to alcohol depends on the speed of just these two reactions: the oxidation of alcohol to toxic substances and its subsequent degradation in the liver. If both reactions occur quickly, the amount of acetaldehyde in the blood will be minimized. This is a reason for some people’s resistance to alcohol. If the person enzymes are produced slowly, as a result, the chemical processes in the body will also be slower than necessary. This explains why some people get sick from just a few drinks, and someone can drink all night and almost did not get drunk. Treatment for alcoholism is based on the knowledge of these two reactions in the body. Patients are prescribed drugs that slow down the decomposition of acetaldehyde. As a result, all alcohol becomes a real poison for the body and remains there for a long time. Therefore, the patient begins to feel bad from even small doses of alcohol, so that there is a strong aversion to the use of alcoholic beverages. All of these chemical processes, described above, explain why different people drink differently. Different traditions of drinking were not in vain because the Europeans have found a special alley gene responsible for the production of substances that break down alcohol to non-toxic substances. In Asian nations, especially the Japanese, things with the elaboration of this material are much worse. That’s why they get drunk faster and feel worse after drinking alcohol than the average European. Biochemistry can also explain the culture of drinking alcoholic beverages from small vessels. This is done in order to slow down the intake of alcohol and give the body time to process it. It has been proved by scientists that women, in general, have fewer genes responsible for the production of alcohol dehydrogenase than men. Therefore, women get drunk faster, stay drunk longer and feel worse in the morning. 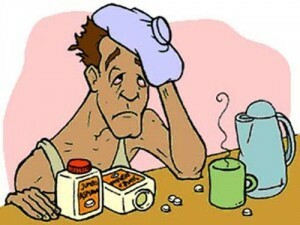 Therefore, to avoid the heavy physical condition, many are wondering how to get rid of a hangover? Not knowing the reason, it is very difficult to find the answer to this question. Dehydration. Alcohol severely dehydrates the body. However, this is not due to lack of liquid, and because of its improper distribution throughout the body. There is plenty liquid: it is the cause of bags under the eyes, and edema, and puffy face. Poisoning. There is no secret how alcohol can poison the body. Because, during its decay, there are poisons formed in the body, which also constitute the new toxins. All this adversely affects the liver. Its work is especially troubled by cocktails, rum, vermouth, tequila because the liver has to deal not only with alcohol but also various impurities. Disorders in work of the brain. As a result, of the collapse of the alcohol in the body, there is acetaldehyde, which slows down brain cells. So the next morning the patient reacts to all surrounding sounds and events. Because of this hypersensitive, a person can even be nervous because of too bright light or loud noises. Just this morning he may be an unwarranted sense of shame and guilt, which is called “adrenaline anguish.” In the struggle with the hangover, the body has to expend a lot of vitamins, macro and micro elements. So the body tries to restore the acid-alkaline balance, sleep, etc. How to get rid of the hangover effectively? So, how to help the poor body to get rid of bad condition? Many people use the favorite of folk remedies, some prefer special tablets. The main thing is that this facility should struggle not with the symptoms of a hangover, but with its causes, more precisely – intoxication. Excretion of toxins from the body by gastric lavage or enema. If the previous methods seem radical and unacceptable, it is possible to adopt such pharmacy sorbents, such as activated carbon products based on lignin, which will be advised by the pharmacist at the pharmacy. In principle, the organism itself copes with deducing poisons, but many folk remedies and small secrets can help him deal with it quickly and effectively. Alternatively, you can take succinic acid (no more than 6 tablets), some lemon juice or honey. Rather effective in the struggle with a hangover is kvass dairy products, cabbage and cucumber pickles. All of these tools help to normalize the water-salt balance in the body. Also, the task of intoxication and combat dehydration can be coped by contrast shower, sauna or bath. The ordinary honey can help cope with the breeding alcohol toxins from the body! It’s pretty rare, but very effective way. The day before the holiday you should regularly eat a tablespoon of honey, and only then calmly sits down at the table. This preventive measure will help get rid of the unpleasant consequences in the morning, and protect the body from heavy poisoning. Another effective preventive method – activated carbon. Many people take it in the morning when suffering from a hangover, and didn’t know that it works most effectively on a holiday before going to bed. During the night the coal cleanses the body and in the morning there will not be any unpleasant sensations and effects. The same effect has the usual milk. You can treat a hangover even with the help of calves-food! Especially this method is useful during the New Year holidays when there is jelly at every festive table. Finished medicine is needed only to shift into a bowl, heat on low heat and eat hot. The secret of this method lies in the high content of amino acids in aspic that speeds up chemical reactions in the body. Thus, it quickly recovered, and a hangover passes. Vitamin method of struggle with a hangover is popular among physicians. They prefer to restore the human body in a state of intoxication using the B vitamins; especially effective are vitamin B6 injections. By the way, this method makes it even from delirium tremens, but it’s better, of course, do not carry your body to such a state your body. You can also take a baking soda or plain aspirin from a hangover. Thanks to these substances in the blood in the body begin to circulate more quickly and thereby speed up the metabolism. By the way, the most popular means of a hangover, which are sold in pharmacies, is half the usual baking soda. Also, bio stimulants can help from a hangover, there is a huge number of them and everyone can find his liking. Someone makes a dense meal, and who is tea with lemon or coffee. A simple set of physical exercises will help refresh and recover after a stormy night. It is difficult to do this during a hangover, but after a few minutes, you can feel a distinct relief. Another comfortable and simple tool – a contrast shower. Healing the body with alcohol is extremely popular among our compatriots. However, this method is very risky and its operating principle is similar to the principle of addiction. The fact that the alcohol, as well as drugs, causes an addiction in a person, and in the morning hangover similar to brittle. When a person after a heavy drinking of alcohol is stopped, the body begins to suffer and a small dose of alcohol can improve health. However, the poison has already poisoned the body – not the best way, so it is best to restrict kefir or kvass, which though contains alcohol, but in very small quantities. Ammonia – is a radical, but a very effective remedy. If a hangover has caught you at a wrong time, and you must be in the form and the sooner the better, drink half a glass of water with half a teaspoon of ammonia. It tastes awful but helps very good. Treatment by brine – is the most common and most favorite remedy of our ancestors. This traditional method against a hangover is an excellent accelerator of chemical reactions in the body. 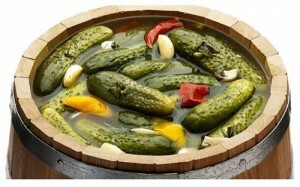 And even more, popular cucumber pickle, effectively still drink cabbage. If the taste of the brine does not appeal, you can eat a normal pickle. Instead of liquid, you can drink water with lemon juice or tomato juice. The injections of thyroid hormones are considered as an extremely effective remedy. Effects and benefits are simply stunning! From such a prick person sobers easy on the eyes, and the regenerative processes in the body are increased several times. And all thanks to the magical properties of hormones to increase the rate of metabolism in the body. However, this method is difficult: it is necessary to be able to do injections, ampoules stock, which cost a lot of money. However, if you need to get over it quickly – need to be a little bit and spend money on a miracle cure. The next step – is the restoration of the nervous system. 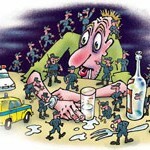 The best means to improve the functioning of the nervous system after alcohol intoxication is considered to be glycine. Glycine tablet should be taken every hour, placing it on the tongue or cheek. Glycine – is the main component of gelatin, so you can also eat jelly, jelly or jellied fish. “Panangin”, “Pantogam”, “Mexico” and others tablets will help the heart and the nervous system. Besides tablets are good natural products: milk, live beer. Best of all is to live through a hangover at home, because, as you know, the body is restoring the most intensity during the sleep. Prolonged sleep can overcome even the most severe hangover. If it is not possible to stay at home, you can drink green or black tea, water with lemon or coffee. Water treatments help relieve tension and accelerate the recovery processes in the body. The cold and hot shower are effective. Remember that in such cases, the hot water is strictly contraindicated, so the water temperature should be slightly higher than body temperature. Water with lemon juice, oranges, grapefruit, and fresh citrus will help to deal with a hangover. Acid contained in these products will neutralize the effects of alcohol in the blood. A Just cocktail of citrus help relieves body aches. Other savers from hangover are protein foods: meat or broth with herbs. Great recovery method after stormy night is a recipe from Peter I – a compote of dried fruits. For the greater good, you can add a few drops of lemon juice. Similarly, juice has healing properties. Drink green tea or decoction of herbs. Strong effect distinguishes a decoction of mint, fennel seeds, and dried chamomile. Hot green tea is perfectly removed toxins from the body. The effect will be stronger from several spoons of honey. Caffeine, which is rich in green tea, constricts blood vessels of the brain, and thus cures a headache. Do not drink alcohol on an empty stomach. An organism will get drunk quickly from this because alcohol enters almost directly into the bloodstream. Before the feast best of all is to have a little snack and take a few pills of activated carbon. During the tableful foods high in carbohydrates will help avoid a hangover. This is a rice, pasta, potatoes, which act as an absorbent. And the meat, which contains a lot of protein, the body will slow down the absorption of alcohol, and raise metabolism. Do not eat too many sweets and desserts; they enhance the absorption of alcohol. Make good breaks between beverages, at least, half an hour. Try not to mix alcohol and drink on the principle of the degree increasing. Many people forget about these simple rules, and each time after the holiday suffers from hangovers. At that time, as the observance of these simple rules will help in the morning is not tormented by headaches and other unpleasant effects of intoxication. And most importantly is that some preventive methods reduce the impact of alcohol on the body.